Dr. Arzu Onar-Thomas is a Member (Professor) at the Biostatistics Department of St Jude Children’s Research Hospital. Her statistical expertise focuses on early phase clinical trial designs with a translational focus on Pediatric Neuro-oncology. She leads the Biostatistics support for the Neurobiology and Brain Tumor Program at St Jude Comprehensive Cancer Center and is a member of the faculty at St Jude Graduate School. 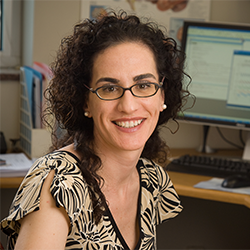 Dr. Onar-Thomas is the co-Principal Investigator of the Pediatric Brain Tumor Consortium and the Executive Director of its Operations, Biostatistics and Data Management Core. She also serves as the Lead Faculty Statistician for the Children’s Oncology Group’s CNS Committee supporting CNS trials in design, operations and analysis. Dr. Onar-Thomas is a member of National Cancer Institute’s Brain Malignancy Steering Committee and is active in a variety of statistical and clinical trial focused societies and organizations.